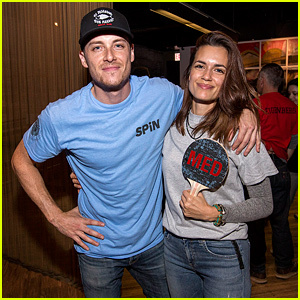 Taylor Kinney's 'Chicago Fire' & 'Chicago PD' Will Unite For Shay in New Trailer - Watch Now! Taylor Kinney is handsome in a suit while arriving at the Chicago Fire/Chicago P.D. 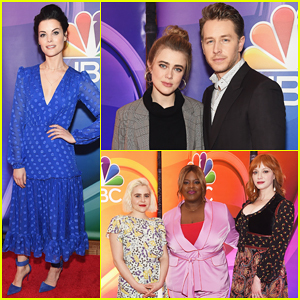 panel discussion at the NBC/Universal portion of the 2015 Winter TCA Tour held at the Langham Hotel on Friday (January 16) in Pasadena, Calif. 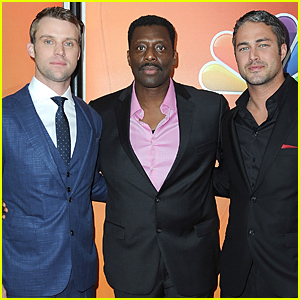 The 33-year-old actor was joined by his co-stars Eamonn Walker and Jesse Spencer. The three guys were also joined by Chicago P.D. 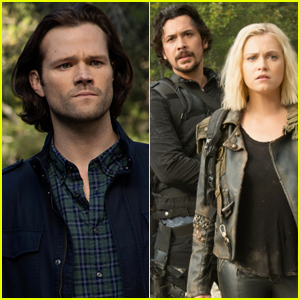 stars Sophia Bush and Jon Seda to discuss the crossover episode, which will premiere on Tuesday, February 3. Watch the trailer for the two-night episode below! Jesse Spencer: 'Chicago Fire' Plane Crash! Jesse Spencer sports a head-to-toe Chicago Fire Department uniform on the Chicago Fire set on Friday (November 30) in Chicago, Ill. 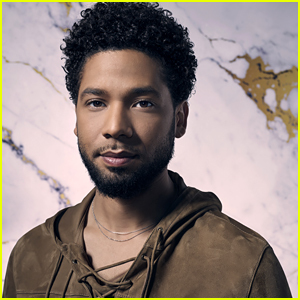 The 33-year-old actor was joined on set by his co-stars Monica Raymund, Lauren German, Eamonn Walker, Charlie Barnett, and David Eigenberg. In the upcoming episode being filmed, a plane crashes in the middle of a suburban neighborhood causing a major car accident among other damage. Local police and media believed there to be a real plane crash before finding that it was just a live set. Taylor Kinney & Jesse Spencer: Shirtless for 'Chicago Fire'! Taylor Kinney and Jesse Spencer go shirtless in the pilot episode of Chicago Fire, airing on Wednesday (October 10) on NBC! The guys play elite firefighters from the Chicago Fire Department who respond to the most dangerous fires or rescue operations. 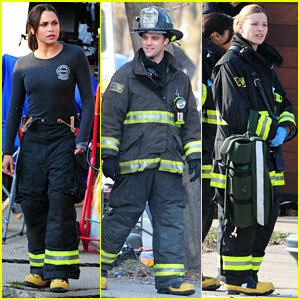 Chicago Fire also stars Lauren German, Monica Raymund, David Eigenberg, Charlie Barnett, Teri Reeves, and Eamonn Walker. The pilot episode of Chicago Fire is now available to view online before its premiere this week. Watch the episode below!